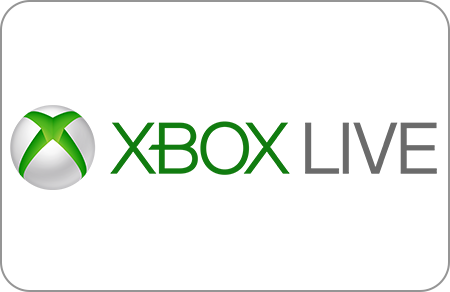 Xbox Live offers the most exciting gaming, online and social entertainment network for all ages. More than 48 million Xbox Live members are playing the hottest games, watching HD movies and TV shows, enjoying live events and sports, and listening to music. Xbox is the newest brand to carry gift cards and memberships for corporate rewards and employee incentive programs, customer loyalty and fundraising programs. Xbox Live Gift Cards and Xbox Live Gold Memberships are purchased as digital codes (eGift Cards), and they can be redeemed via the console or online at xbox.com. Great for Any Kind of Program! Why Choose Xbox Live Gift Cards & Xbox Live Gold Memberships? Q. Is there a minimum gift card or membership order? Yes, the minimum order is $2,000. Q. Are there discounts available for bulk gift card or membership purchases? Q. What denominations can I get? Pre-denominated Xbox Live gift cards are available from $5.00 to $50.00 and Xbox Live Gold Memberships are 3 months ($24.99) and 12 months ($59.99). Variable load of $1.00 to $100.00. Q. Can I order mixed denominations on my order? Yes, your order can include any number of cards or memberships in any denomination you choose. Q. How do I pay for my gift card or membership orders? Payment may be made by company check or ACH. Delivery 2-3 days from receipt of payment. Q. How and when are the gift cards or memberships delivered? Gift cards and memberships are delivered electronically within 2-3 days from receipt of payment. Q. Are gift cards and memberships delivered activated? Yes, all gift cards and memberships are shipped activated. Q. Can gift cards be used to purchase memberships? Q. Are there any fees if the gift cards or memberships are not used? No, Xbox Gift Cards or memberships have NO DORMANCY FEES or other fees. Q. Can the gift cards or memberships be redeemed for cash? Gift cards and memberships are not redeemable for cash and cannot be returned for a cash refund. Q. Where can you redeem the gift cards or memberships? Xbox Corporate Gift Cards and memberships are redeemable via the console or online at xbox.com. Q. Can lost gift cards or memberships be replaced? Xbox is not responsible for lost or stolen gift cards or memberships.